We planned so many new things for this new year and one of them is this exact post. So far we published our most popular Instagram photo at the end of each month and now we want to replace that with a new tradition: a monthly recap at the end of each month. We plan to share more private moments from our lives in these pieces as well as to give you a summary about the best new content on the blog. So January. 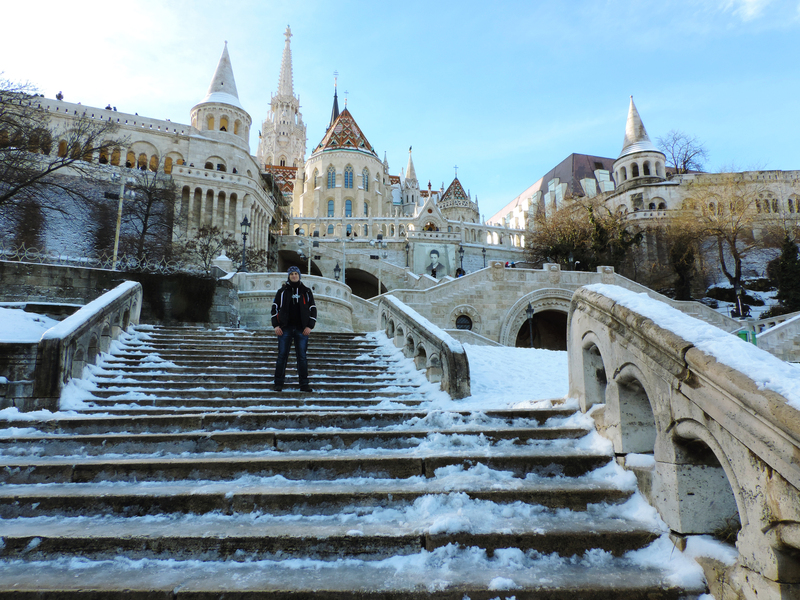 An unusually cold and icy January that we spent mostly at home in Budapest. But this is something new: our home! Our blog focuses on our travels so we haven’t mentioned yet that we’ve just moved into our own place. We wouldn’t have thought of it even a year ago and we couldn’t be happier now. January was mostly about this happiness that we think we definitely deserve after months of tiring administrative and whatever tasks. We had planned only one weekend getaway for January but we cancelled it eventually. Road conditions were very bad due to the constant mix of rain and snow and the official advice was not to drive only if you really can’t avoid it. We thought we could so we stayed at home and baked cookies instead. And started planning our summer travels. 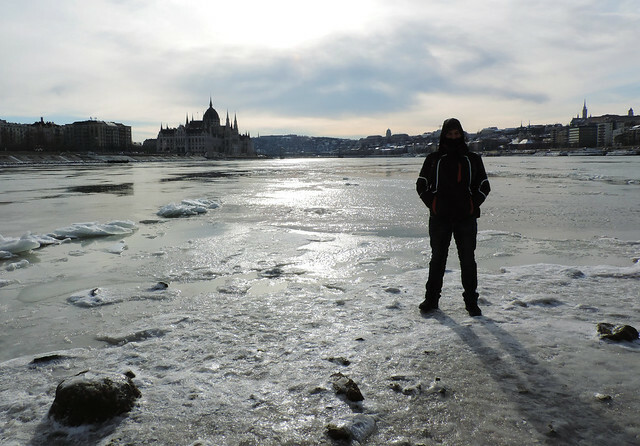 Walking along icy River Danube in Budapest. Winters in Hungary were mild, grey, muddy and rainy in the past couple of years. I was probably a child when I saw sparkling snowy landscapes all around the country last time. But this January was different: it brought cold temperatures (like even below -20°C) and snow. Lakes and even rivers got frozen. Even the Danube got almost frozen (but of course, it won’t ever get entirely frozen because of the icebreakers). We walked around Budapest and it was a very different city than what we’ve got used to. 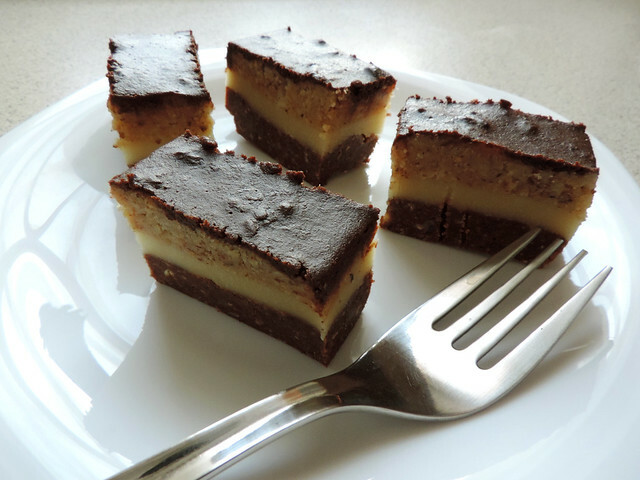 Our favorite new recipe this month is called “bajadér slices”. I don’t have any idea how to translate it into English properly and Google could help me neither. That and because we got the recipe from my mum I just assume this is a Hungarian specialty. Here’s a link to give you an idea what it actually is and how it is made (in Hungarian but the video and the pictures are quite descriptive). Welcoming friends and family in our new home. We are always happy to meet with the ones we love. But inviting them to our new home and sharing our happiness is truly special. Our Slovenian Beach Getaway: Strunjan – Slovenia is not particularly famous for its beaches but we found our perfect one. Along with the loveliest coastal small town in Slovenia: Piran. [Video post] Let Slovenia Steal Your Heart In 2 Minutes! – our travel videos are also something new in 2017 and the latest one is about Slovenia, one of our favorite countries in the world! We don’t have any fixed travel plans for February. It ultimately depends on the weather. Maybe we’ll go skiing or snowshoe hiking. Or nowhere. 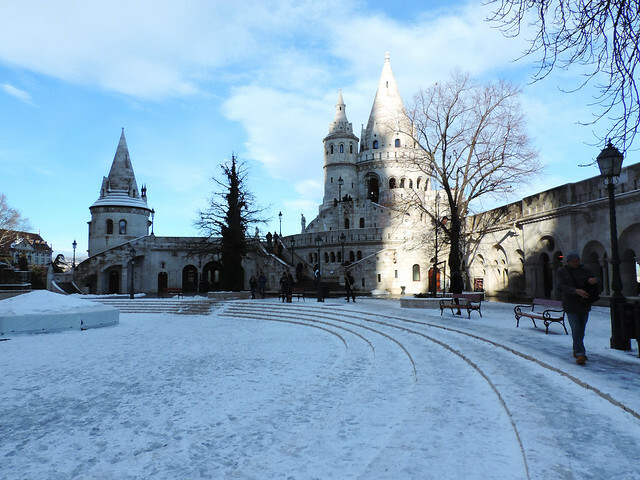 But even if we spend the whole February in Budapest we have some ideas what to do. Uhm… actually, we can maybe do something about our resolution that we share a lot more local tips about what to see and do in Budapest and in Hungary. As for our blog… We’ve started our YouTube channel lately where we plan to publish a couple of travel videos every month. We are total newbies in this video topic but we are enthusiastic for sure. You decide all the rest. Have you already subscribed? How was your January? What are your plans for the next month? The Most Charming European Capital: Ljubljana + Giveaway!